The competition for data is increasing. How can Europe become a pioneer of the fair data economy? Leading European think tanks met in Helsinki at the Vision Europe Dialogue event organised by Sitra on 1 and 2 April to consider ways to make Europe a driver of the fair data economy. The think tanks want to increasingly highlight the fair data economy and use of personal data in public discussion and make them more understandable to the general public ahead of the forthcoming European parliamentary elections. Currently, data is primarily managed by the party that collects it, while individuals largely waive their rights to the data. The growth of platform companies is based on the ownership of data. Compared to the current drivers of digital development, the United States and Asia, the European Union has adopted a much stricter and more ethical approach to the use of data. We should now take a few more steps and encourage a European data economy that is both fair and efficient. In a fair data economy, individuals decide on the use of their data and organisations that want to provide services to individuals must use data in a fair and transparent way. 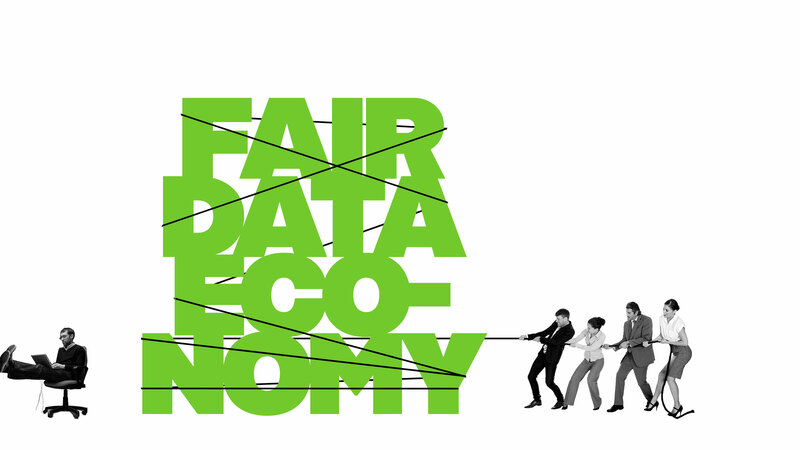 A fair data economy benefits everyone. In connection with the Vision Europe Dialogue event, Sitra published six thought pieces on the fair data economy written by European think tanks. Viktoria Grzymek and Gabriele Schöler of Bertelsmann Stiftung emphasise the benefits of the data economy to the individual, describing a normal business day in a digital future, while Bruegel’s Scott Marcus writes about digitisation, artificial intelligence and the future of work. Agnieszka Kulesa, from the Center for Social and Economic Research, hopes for an army of visionary European data workers in her piece, and Thomas Raines from Chatham House explains how the development of technology can have both positive and negative effects on democracy. Filippo Candela from Compagnia di San Paolo writes about data as a bridge that connects the public and private sectors for the common good. And the Jacques Delors Institute’s Paul-Jasper Dittrich contemplates how the next European Commission should approach the digital revolution and data economy. Sitra has altered the format of Vision Europe’s annual European event and for the first time the meeting this year will be in the form of a dialogue rather than a summit. The Vision Europe network devises common messages concerning the future of Europe for both national and EU-level decision-makers. The themes of the co-operation vary each year. In recent years they have covered the effects of globalisation, the refugee crisis in Europe and the reform of the welfare state. The Finnish Innovation Fund Sitra (Helsinki, Finland).